Welcome Home! 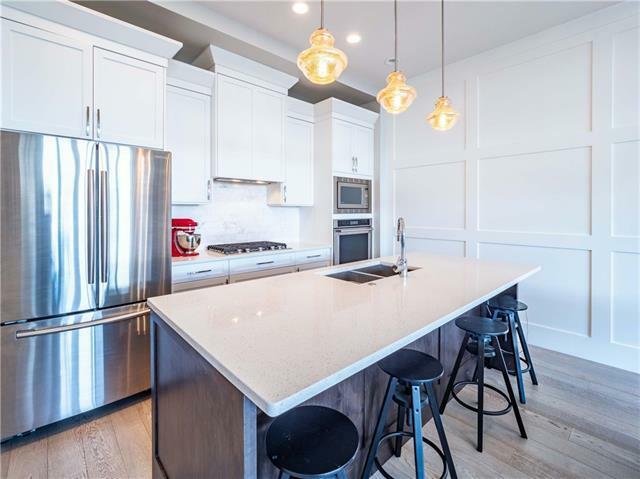 This gorgeous property in wonderful Killarney features 10 ft ceilings, 8 ft interior doors for an estate feeling, a modern open floorplan, 7" wide hardwood plank floors, heated bathroom floors & extensive millwork. 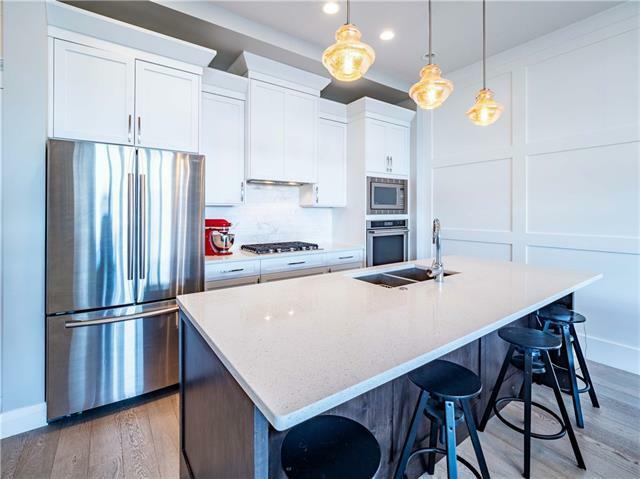 The bright kitchen features stainless steel appliances, a gas stove, built in wall oven & microwave, quartz countertops and 2-tone cabinets. The family room has a gorgeous tiled fireplace, custom built in shelving, many metal-clad windows allowing for natural light & built in speakers. Off the family room is the back door leading to a grassed area w/ easy access to the detached garage & guest parking. Upstairs you have a bright master with a white, beautiful 4-piece ensuite, another full bathroom, laundry & another bedroom. On the lower level you have a flex room, full bathroom and third bedroom. Classic exterior is landscaped w irrigation, mature trees & exposed aggregate walks. 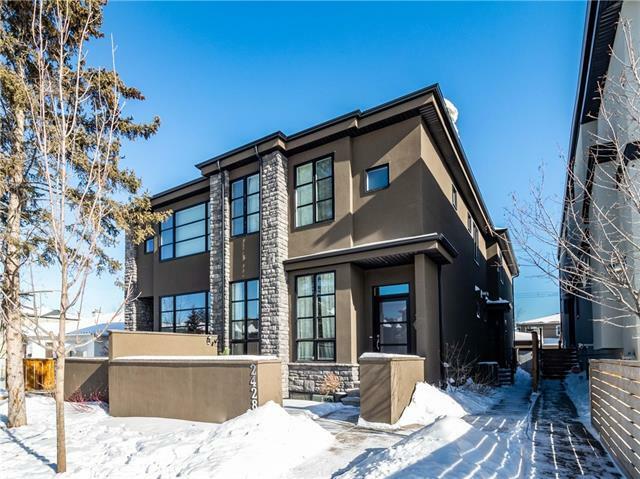 Close to Crowchild, downtown, shopping & schools - cant beat this location! Book your showing today! 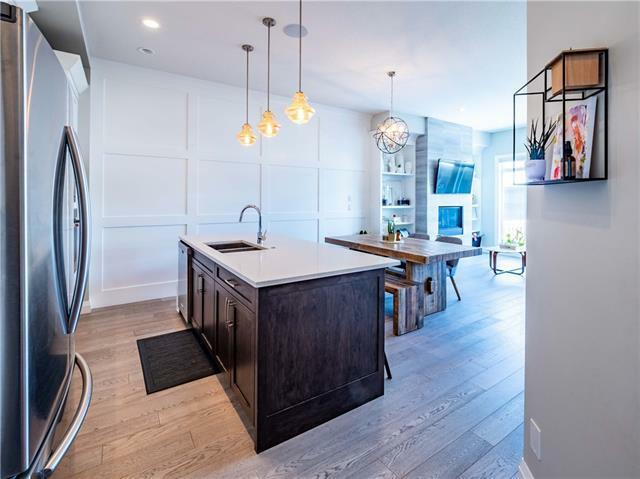 Listing provided courtesy of Revolve Realty Group Inc.. © 2019 CREB®. All Rights Reserved.